Have the look of security at an economical price with Simulated Security cameras! Realistic silver housing with motion detection and blinking LEDs give this simulated security a realistic edge. 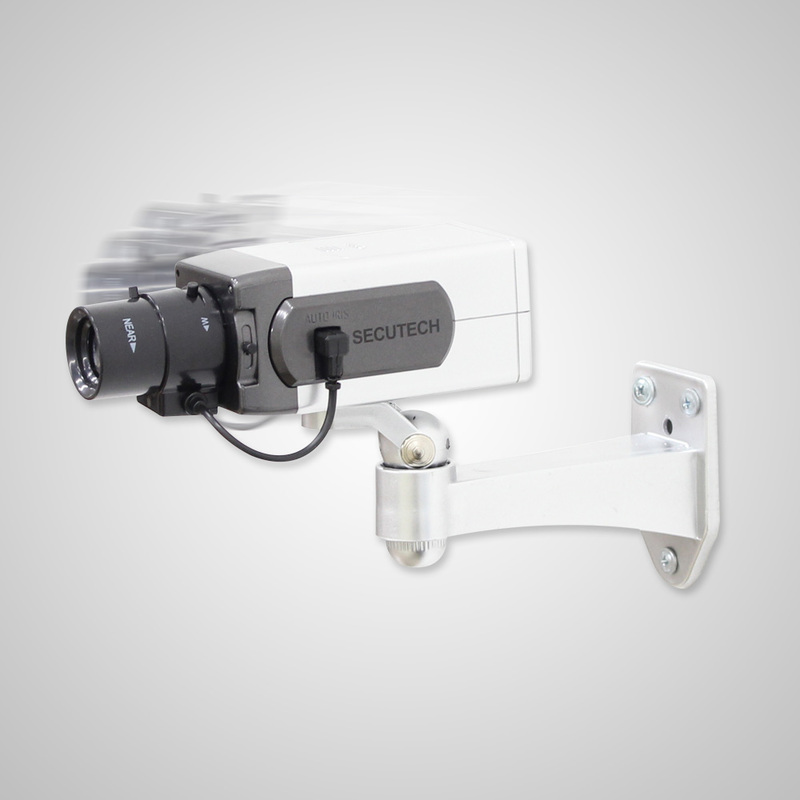 Motion Detection up to 20 ft. Bracket Arm is fully adjustable (0-90 downward tilt, 0-360 Left and Right rotation). Black plastic lens, camera lens diameter 25 mm. Includes mounting hardware pack, wood screws and mock cable wires. Power source, 3 AA size batteries (not included).